it is up to the president to set levels." Experts evaluating the administrationâ€™s latest refugee totals now predict a slash of over 77 percent, to 25,000 refugees a year. ... In Minnesota, (for example) itâ€™s become an election issue. At the Tuesday conference hosted by the Center for Immigration Studies, Jeff Johnson, a St. Cloud, Minn., city councilman said local taxpayers are outraged at the number of refugees pouring in. local elections this year, he said. So why aren't we being bombarded with television interviews and profiles of these amazing human beings? Liberals can't make an argument without producing a victim. Attack the media -- they bleat about journalists getting shot in the face while reporting abroad. Complain about FBI corruption -- they choke up over G-men putting their lives on the line EVERY DAY! Denounce the Deep State -- they moan that CIA officers have been killed in the line of duty. Isn't this the moment for our hearts to be breaking over the millions of wonderful "Dreamers" who will suffer unless we amnesty them immediately? Let's see 'em! Surely they've got a few Einsteins! After all, the media are capable of turning a gang-admiring thug who forcibly robbed a convenience store and assaulted a cop into "Gentle giant, Mike Brown." They turned jewelry-stealing juvenile delinquent Trayvon Martin into an altar boy. But even MSNBC dare not show us Trump's beloved "Dreamers." The snarling Muslim showcased by the Democrats at their 2016 convention has gotten more airtime than any "Dreamer." There are plenty of vague descriptions of "Dreamers," all of whom seem to be valedictorians. But can anyone identify precisely what they have contributed to our country -- other than lots of police work, welfare and protests? 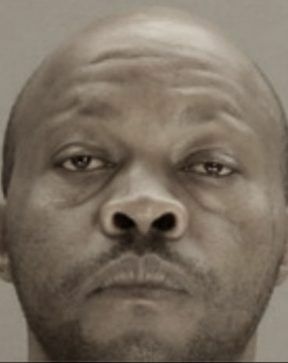 about 750 deaths of elderly women ..."
An illegal alien accused of murdering an elderly woman could â€œpossiblyâ€� be a serial killer and involved with multiple other deaths of elderly people in the Dallas, Texas area, a report states. When police tracked the jewelry and keys to Harrisâ€™s residence, they found her dead inside with a pillow reportedly near her body. 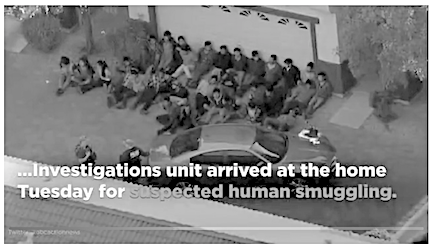 Thirty-four people said to be illegal immigrants were in custody on Wednesday after federal agents raided a "drop house" in Phoenix suspected of being a part of a human smuggling operation, U.S. Immigration and Customs Enforcement (ICE) officials said. The raid late on Tuesday was precipitated by a tip that a "local residence contained a large group of suspected undocumented aliens," Lauren Mack, a spokeswoman for ICE, said in a statement. The information led agents with ICE Homeland Security Investigations to "dismantle a human smuggling drop house," she said. Far-left activists and illegal migrants invaded the Basilica of Saint-Denis on Sunday to protest the French governmentâ€™s new asylum law before they were forcibly removed by police, resulting in evening mass being cancelled. FN president and several Republican leaders protest against the occupation of the Basilica of Saint-Denis by 80 people who came to support migrants and undocumented migrants on Sunday, accusing protesters of desecration and accusing them of disturbing public order . Marine Le Pen and several leaders of the Republicans (LR) have rebelled against the occupation Sunday of the basilica of Saint-Denis by people supporting migrants and undocumented, the president of the FN denouncing the support of the insubordinate France ( LFI) at this event. Sunday around 15:00, some 80 people in support of migrants and undocumented have invaded the basilica, according to a police source. A banner was unfurled denouncing the Asylum-Immigration bill. About an hour after their arrival, the protesters were evacuated "calmly" by the police. The procession then went to the police station in Saint-Denis, in the presence of LFI MP Eric Coquerel. A man who opposed the entry of the police in the basilica was arrested, before being released the same evening, according to the police source. The basilica was closed following the incident and the Sunday evening mass was canceled, the diocese said, adding that there had been no damage. The President Also Renewed His Call For The â€˜Nuclear Optionâ€™ To Remove All Hurdles From His Agenda. President Donald Trump made it clear over the weekend that heâ€™s tired of letting Senate Democrats dictate the actions of Congress. More than 1,500 Central Americans calling themselves â€œMigrants in the Fightâ€� are walking across Mexico in the hope of being granted asylum in the U.S. The group is led by the People Without Borders organization, which, outside of its name that sounds a lot like something the George Soros-funded Open Society Foundations would be funding, little is known about. The president also blamed Mexico for â€œdoing very little, if not nothing,â€� to stop the flow of people and drugs across the U.S. southern border. He said those will stop, or he will â€œstop their cash cow, NAFTA.â€� He also pushed for the southern border wall project. To push through his agenda, he renewed his call for the so-called â€œNuclear Option,â€� which would prevent the minority party from using the Senateâ€™s arcane rules to block legislation it doesnâ€™t like. Democrats used those rules to block a Republican budget, â€œforcingâ€� Republican leaders to move ahead with the $1.3 trillion omnibus spending bill. Senate Majority Leader Mitch McConnell, and others, have warned that the Nuclear Optionâ€”procedurally â€œignoringâ€� those rulesâ€”would remove the last remaining check against a future Democrat majority. doubling of the number of immigrants in the last 30 years." The WALL is the TIP of the SPEAR.... of which we plan to slay RINOs with. They know this very well which why the UNIPARTY wants to stop it. The wall is like a silver bullet that kills the wolfman. Or, like the stake driven into a Vimpire's blackheart. So let's BUILD that WALL & send the left to HELL where they belong. basically forever the subject of deportation was a SOVEREIGNTY issue ... the executive can deport any and all non-citizens for ANY REASON and especially illegal aliens . SO again we see the creeping globalism where even the US govt. is not sovereign @! President Donald Trump is concerned that his Supreme Court darling Justice Neil Gorsuch â€” whose appointment is regularly cited by the White House as a top accomplishment under Trump â€” is too liberal, The Washington Post reported. According to administration officials who heard about Trumpâ€™s complaints and spoke with the Post, Trump was frustrated by Gorsuchâ€™s recent vote against the administration on an immigration case, which reportedly pushed him to question whether Gorsuch was going to be a reliable conservative voter on the high court. Another Trump adviser who spoke with the Post said Trump was just complaining about that specific case, not Gorsuchâ€™s dependability overall. ....Congress â€“ House and Senate must quickly pass a legislative fix to ensure violent criminal aliens can be removed from our society. 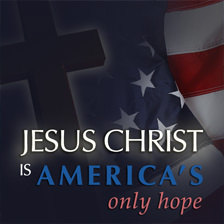 Keep America Safe! If you are surprised by Gorsuch's vote to protect immigrants, you haven't been paying attention to Gorsuch's record. Which brings us to Tuesdayâ€™s decision in Sessions v. Dimaya, a 5-4 decision where Neil Gorsuch sided with the four liberals in favor of an immigrant convicted of burglary. Gorsuchâ€™s vote, and his separate opinion in Dimaya, confirms that he is much more a Thomas than he is an Alito. He is willing to hand liberals a small victory on the path to a much larger effort to shift legal doctrines to the right. The man who occupies the seat that Senate Republicans held open for a year until Donald Trump could fill it has not gone soft â€” even if he did hand a victory to an immigrant. Dimaya involves a strikingly similar statute to the one in Johnson. Under the law at issue in Tuesdayâ€™s decision, a non-citizen is all-but-certain to be deported if they commit a felony that â€œby its nature, involves a substantial risk that physical force against the person or property.â€� A bare majority of the Court â€” the four liberals plus Gorsuch â€” agreed that this law suffers from the same vagueness problems that plagued the law at issue in Johnson. Oh, Switzerland woke up this year ... !!! Asylum seekers and migrants who have received welfare over the past three years will no longer be granted citizenship in Switzerland â€“ unless they pay the state back. Regardless of whether or not Muslim refugees living off government handouts have been permanent residents in Switzerland during the time needed to apply for citizenship, it will not be possible for them to become official Swiss citizens without returning the money, according to a report published by Kronen Zeitung. The previous law allowed migrants to apply for citizenship as long as they were not on state benefits at the time of their application,â€� Breitbart News reported. the new regulations are geared to deter Muslim refugees from isolating themselves in enclaves while making no attempts to assimilate to Swiss culture. The flood of immigrants into Switzerland has overwhelmed the Swiss government, which admitted that it has no clue about the true identities of a whopping 90 percent of asylum seekers entering the nation. ... wiss Peopleâ€™s Party politician Barbara Steinemann forced the government to concede that no form of ID was provided by up to 96 percent of underage asylum seekers, according to a report published by the Swiss daily Basler Zeitung. Switzerland is not alone in its bombardment of Muslim refugees milking the system and infiltrating its neighborhoods. Now, just like the United States and its need for a border wall to curb illegal immigration, Switzerland has problems with illegal aliens of their own. ... makes my blood boil! Facebook has deleted an event page hosted by San Diegans for Secure Borders (SDSB), citing a violation of their community standards. The event was a protest against the caravan of illegal aliens aiming to enter the U.S. from Mexico. On Thursday, SDSB received an email from Facebook informing them that their event, titled â€œSTOP the Caravan of 1500 Illegal Aliens from Mexico,â€� had been taken down. â€œOur event page had been up for about four weeks and had about 950 people signed up to either attend or â€˜interestedâ€™ in attending,â€� said Jeff Schwilk, founder of SDSB. Kirstjen Nielsen may have the toughest job in President Donald Trumpâ€™s Cabinet. As the administrationâ€™s chief immigration enforcer, sheâ€™s in charge of implementing his zero-tolerance policy at the southern U.S. border. But sheâ€™s also responsible for maintaining working relationships with local leaders, including Democrats, who are diametrically opposed to Trumpâ€™s approach. So on Friday, as the president told members of the National Rifle Association that he would push to seal the border and push for merit-based immigration legislation â€œnot based on picking someone out of a bin,â€� Nielsen announced she would cancel special immigration status for roughly 86,000 Hondurans living in the U.S.â€”but on the same day, her department accepted dozens of Central American asylum-seekers who traveled as part of a much-publicized caravan to the San Diego border area, despite Nielsenâ€™s own earlier warnings that those in the caravan would be turned away. Nielsen, a cybersecurity expert who worked in the Bush administration, has stood alongside Trump in dialing up warnings about immigration as part of a strategy to deter additional people from coming to the U.S. Yet sheâ€™s had to walk a tightrope, current and former aides said, picking her moments with Trump in private while preserving a working relationship with leaders here and abroad who view the administrationâ€™s immigration policies as anathema to their values. â€œItâ€™s a balancing act,â€� said one person whoâ€™s worked with her. ... is Nielsen strong enough? 50,000+ illegals arrested at border, last two months in a row! 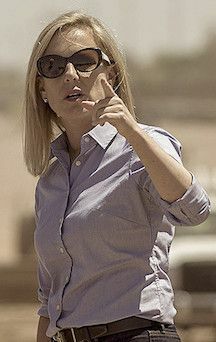 President Trump allegedly laid into Department of Homeland Security (DHS) Secretary Kirstjen Nielsen during a White House meeting, as border crossings at the U.S.-Mexico border continue to skyrocket, according to a new report. Trump lashed out at his Cabinet, and Nielsen in particular, when told that the number of people arrested for illegally crossing the Mexico border topped 50,000 for the second consecutive month. The blowup lasted more than 30 minutes, according to a person with knowledge of what transpired, as Trumpâ€™s face reddened and he raised his voice, saying Nielsen needed to â€œclose downâ€� the border. Indeed, border crossings have continued to soar under Nielsenâ€™s direction at DHS. For example, as Breitbart Texas reported, border crossings in March approached Obama-era levels of illegal immigration at the border. Last month, border crossings continued to increase, with nearly 40,000 illegal aliens crossing the border. .... She graduated with a Bachelor of Science degree from the Georgetown School of Foreign Service and earned a Juris Doctor from the University of Virginia School of Law in 1999. Nielsen served during the George W. Bush administration as special assistant to the president and as senior director for prevention, preparedness and response at the White House Homeland Security Council. Coalition partner party leaders will go to the Quirinal Palace Monday evening to meet with Sergio Mattarella, the Italian President, to officially form a populist, Eurosceptic government which has prompted panicked headlines across the continent. League leader Matteo Salvini is also to take a ministry representing an area of key interest for his voters as he is tipped to take the Immigration office. Before the election, his party promised to deport some 500,000 illegal and irregular migrants from the country, a move which will almost certainly bring Italy into serious conflict with the European Union. Another campaign promise which the League made before the election was exploring the possibility of Italy leaving the Euro single currency, what the Italian media called an ?Italiaexit?. While this did not make the final governing contract, the league?s economics spokesman Claudio Borghi will continue to push for it in government, reports il Giornale, which states the possibility of it happening remains ?concrete?. Today, Attorney General Jeff Sessions stated that neither domestic or gang violence should qualify as reasons to allow immigrants asylum in the United States. The announcement was made during this year?s annual 3-day Executive Officer for Immigration Review conference in Virginia. Attorney General Sessions was delivering a speech in front of immigration judges today. He stated, ?It will be your duty to carry out this ruling. Asylum was never meant to alleviate all problems, even all serious problems, that people face every day all over the world.? The Attorney General explained that the people of our country cast their votes in November of 2016. They voted for Trump, who promised secure borders. Sessions stated, ?Let?s be clear. We have a goal. And that goal is to end the lawlessness that now exists in our immigration system. The American people have spoken. They have spoken in our laws and they have spoken in our elections. They want a safe, secure border and a lawful system of immigration that actually works and serves the national interest. Thank you for what you do, let?s deliver this for the American people.? politicians on the discharge-amnesty list. ..."
... on his way out the door. ?Members across the Republican Conference have negotiated directly and in good faith with each other for several weeks, and as a result, the House will consider two bills next week that will avert the discharge petition and resolve the border security and immigration issues,? said the statement from Ryan?s office, which did not mention President?s Donald Trump?s push to build a wall and to end the visa-lottery and chain-migration programs. The other bill will be drafted by Ryan?s team. Amnesty advocates use business-funded pollsters to conduct ?Nation of Immigrants? push-polls which show apparent voter-support for DACA amnesty, for immigration, and immigrants. Those pollsters also push their clients? preferences when they advise their political clients. Now normal people would just "rescue" these people back to the point of origin : Libya But that's NOT the agenda ! Oh, which isn't that why they took out Kadafi ? because they needed libya for a base for African migrant invasion/ ? 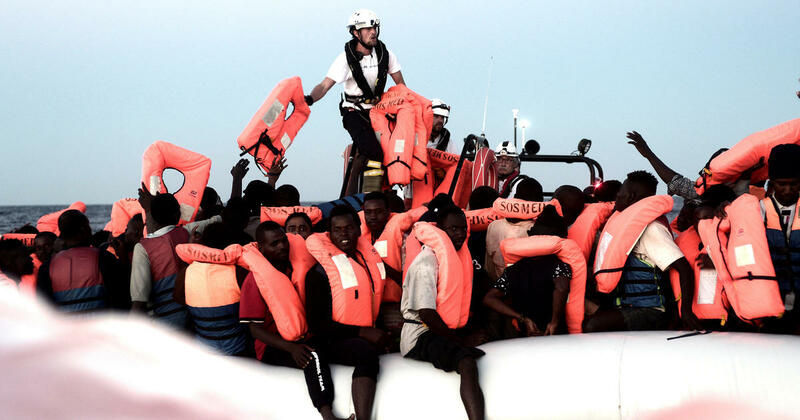 ROME -- Spain stepped in as a safe refuge on Monday after Italy and Malta dug in for a second day and refused to let a rescue ship with 629 people aboard dock in their ports, leaving the migrants at sea as a diplomatic standoff escalated under Italy's new anti-immigrant government. "Enough!" said Italian Interior Minister Matteo Salvini. 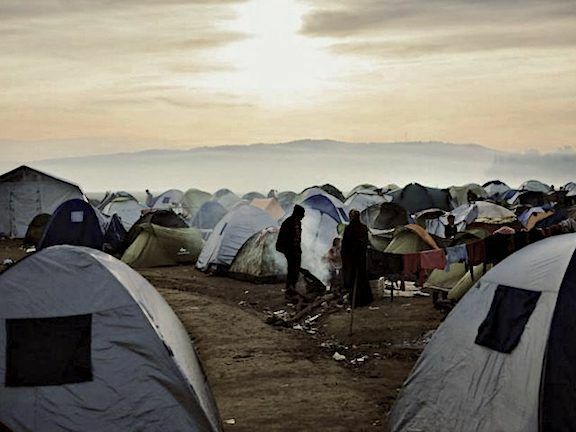 "Saving lives is a duty, but transforming Italy into an enormous refugee camp isn't." Maltese Premier Joseph Muscat also refused to take in the "Aquarius" ship of the humanitarian group SOS Mediterranee. He accused Italy, which coordinated the rescue, of violating international norms governing sea rescues. Spain's government confirmed hours later that the Aquarius would be allowed to dock in the southeastern city of Valencia. The MV Aquarius is a former German coast-guard and fishery protection vessel (then named Meerkatze, 1977) operated since February 2016 by SOS M?diterran?e and M?decins Sans Fronti?res (MSF) as a rescue vessel for migrants and refugees making the Mediterranean crossing in makeshift craft from Libya to Italy as part of the European migrant crisis. SOS M?diterran?e is a Franco-German founded organisation whose goal to aid immigrants from Africa who attempt to cross the Mediterranean Sea, often in dangerous make-shift vessels, in search and rescue operations. The group was founded in June 2015 by German former captain Klaus Vogel and Frenchwoman Sophie Beau. The group is based in Marseille, France. The organisation has sometimes come into conflict with the governments of Italy and Libya. SOS MEDITERRANEE is a non-profit association and is financed exclusively through private donations. Its partner Doctors Without Borders (MSF) contributes to the monthly costs for the Aquarius and staffs the medical team on board. 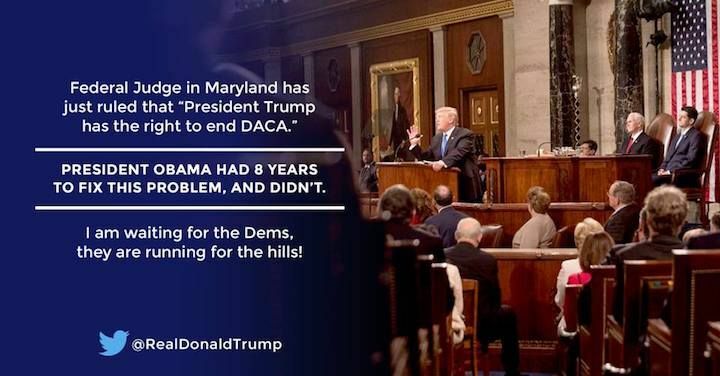 An immigration compromise deal rolled out by House Speaker Paul Ryan (R-WI) and Rep. Bob Goodlatte (R-VA) would give amnesty to a foreign population that is nearly three times the size of President Obama?s Deferred Action for Childhood Arrivals (DACA) program. The ?Border Security and Immigration Reform Act,? a copy of which Breitbart News has obtained, would go beyond giving amnesty to the nearly 800,000 illegal aliens who are enrolled in DACA. An amnesty for just DACA-enrolled illegal aliens would be enforceable and manageable, as those nationals are already in the federal immigration system. President Donald Trump?s administration will soon build a tent city near the United States-Mexico border close to El Paso, Texas, that will house hundreds of young border crossers. For months, Breitbart News and immigration experts have noted that Trump?s Department of Homeland Security (DHS) could deal with the ongoing illegal immigration surge at the border by having deployed troops build tent cities on the border. "While Sessions is implementing a legal wall to stop the caravan, Trump?s DHS could ask troops who have already been sent to the southern border to construct tent cities that could house asylum-seekers and border-crossers while they await their hearings." The Trump administration?s policy is to prosecute all border crossers, including illegal alien parents who cross the border with their children or someone else?s children. This policy results in border-crossing parents having their children taken into federal custody. The establishment media has consistently falsely reported that the Trump administration?s official policy is to separate migrant children from their border-crossing parents. This falsehood resulted in multiple retractions from the New York Times, USA Today, the Washington Post, and the Seattle Times. Department of Homeland Security (DHS) Secretary Kirstjen Nielsen could also initiate the construction of tent cities along the border ? which military troops could build ? in order to temporarily end the ?Catch and Release? loophole that releases illegal aliens into the U.S. while they await their immigration hearings. President Donald Trump strongly affirmed on a surprise Friday morning Fox News appearance he would ?certainly? not sign a ?more moderate? Republican immigration bill that Speaker Paul Ryan is pushing in Congress. ?I?m looking at both of them,? President Trump said speaking of two Republican immigration bills jockeying for support in Congress. Those two bills are Rep. Bob Goodlatte?s immigration bill and Speaker Ryan?s bill. 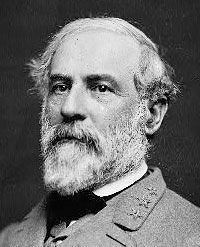 He affirmed ?certainly? that he ?wouldn?t sign the more moderate one.? The ?more moderate? bill of the two is Ryan?s bill. ?I need a bill that gives this country tremendous border security,? Trump told Fox. He added that it has to end catch and release, end the visa lottery, and ?we have to have the wall, if we don?t have the wall there?s no bill.? Trump also touched on the very low number of immigration court appearances by those who are given notices to appear. Rep. Steve King (R-IA) told Breitbart News Tonight earlier this week that House Republicans are considering forcibly removing House Speaker Paul Ryan from the speakership via a ?motion to vacate the chair? over Ryan?s efforts to undermine President Donald Trump?s agenda. Need to set the rules for citizenship and making it clear were to go and how to do it. ?We learned that our employee was not who he said he is,? Lang told Fox News. Other ILLEGALS working on that farm said that the owners knew they were illegals and paid them less because they were here illegally. Other farms knew too. Among others, you can thank the Koch brothers who are major proponents and supporters of the cheap labor-open borders crowd. They need the cheap labor to hire workers for their labor intensive companies like Georgia-Pacific, Invista, Time, Inc., Flint-Hills, Koch Industries, Guardian Industries, and others. Yes, those sources for jobs but, with the illegal, cheap labor the Kochs desire, drives the pay scale down so low it hurts the LEGAL labor pool! Britain?s population continues to soar, new statistics recently revealed, but the enormous extent to which this growth is down to mass migration has now been revealed by a study by the Migration Watch pressure group, who claim on average in the 15 years between 2001 and 2016 82 per cent of growth was down to migrants. Noting that these were figures the government had failed to calculate themselves, Lord Green of Deddington, Chairman of Migration Watch UK, said: ?The government have been remarkably coy about the true impact of immigration on our public services over the past sixteen years. ?This has meant that very few people realise that over 80% of our population increase in recent years has been due to immigration. The government must now get serious about reducing numbers. Immigration on the current scale is rapidly changing the size and nature of our society.? Demographic change forced by migratory pressure is also felt in other ways. London became the first British city to become minority white British at the time of the last national census in 2011 ? a distinction it is likely to soon share with other British cities including the second city Birmingham, which is projected to become majority-minority ?soon?. An estimated 50,000 adult Birmingham residents are unable to speak English, a 2018 report claimed. STOCKHOLM (AP) ? Sweden?s prime minister denounced an increasingly popular far-right party as racist and a threat to the nation?s European values Saturday as political candidates made their final pre-election pitches to voters. The parliamentary election being held Sunday will be Sweden?s first since the government in 2015 allowed 163,000 migrants into the country of 10 million. While far less than what Germany took in that year, it was the most per capita of any European nation.